The General Catalog provides details for all academic programs, course descriptions, recommended paths, current academic policies, procedures, and more information. 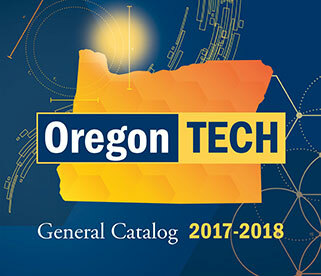 The site is valuable to current students as well as those considering attending Oregon Tech in the future. Click the "Bookmarks" tab in the upper left corner of the PDF for assistance with navigating through a document. If you cannot see the tab, in Adobe Acrobat go to "View," then "Show/Hide", then to "Navigation Panes" and click on "Bookmarks" to make them available for your use.